At our office, no examination is routine. We’re committed to personalized care for all our patients, with your visit tailored to your specific symptoms and needs. We will provide all the time you need for testing, treatment and any questions you may have. We know your time is valuable and do our best not to keep anyone waiting. If our commitment to our patients does cause us to run behind schedule, please know you too will be treated as an individual and given Dr. Hammerschlag’s undivided attention. Except in emergencies we see patients all day Monday and Thursday and Wednesday mornings. The rest of the week’s hours are reserved for surgery, research and teaching. If you have any questions about treatment, billing or insurance, please feel free to call us at (212) 889 – 2600. As part of our commitment to keeping our costs as reasonable as possible we ask for payment (co-payments, deductibles, and payments from those with plans that we do not accept) at the time of your visit. 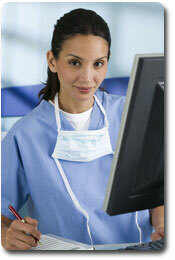 This reduces the cost of billing and, in turn, the cost of your care. Our staff will provide you with the claim forms you need to file for insurance benefits. Surgical fees will be discussed with each patient individually and deferred billing plans can be arranged in cases of financial hardship. Please discuss the options with our staff before scheduling surgery. If you have any questions about treatment, billing or insurance, please feel free to call us at (212) 889-2600.